After typhoons Ineng, Jenny and Kabayan, another typhoon—Lando (international name Koppu) — brought onslaught to Luzon particularly Central and Northern Luzon damaging 7.54 billion pesos worth in agriculture and infrastructure and affecting a million of Filipinos. On October 15, the Philippine Atmospheric, Geophysical and Astronomical Services Administration (PAGASA) issued Public Storm Warning Signals as Typhoon Lando entered the Philippine Area of Responsibility and into the east of Aurora Province. It was a direct hit for the province. With strong wind and heavy rains, parts of Luzon were flooded and had suffered of power outage. 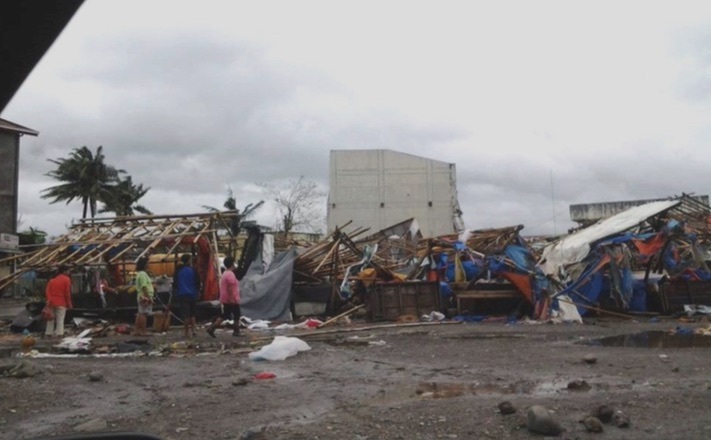 Approximately 113,584 people moved to evacuation centers and the death toll rose to 41. But aside from the wind and rain, the mud furthers the damage in the agriculture of many towns in Nueva Ecija. Based on a report from GMA News Research, typhoon Lando, in terms of damage, is the most destructive tropical cyclone to hit the country this year. It exceeded the combined cost of damage from the 11 typhoons that preceded it. Meanwhile, President Benigno Simeon Aquino Jr. and Vice President Jejomar Binay led separate relief distributions and damage inspections in Lando-hit areas, particularly in Cabanatuan City and Gapan City in Nueva Ecija, Ilagan City, Isabela and Casiguran, Aurora. Thanks to the Baguio Episcopal Area for this information. For more information or to find out how you can help contact Bishop Pete Torio at adspete2000@yahoo.com.